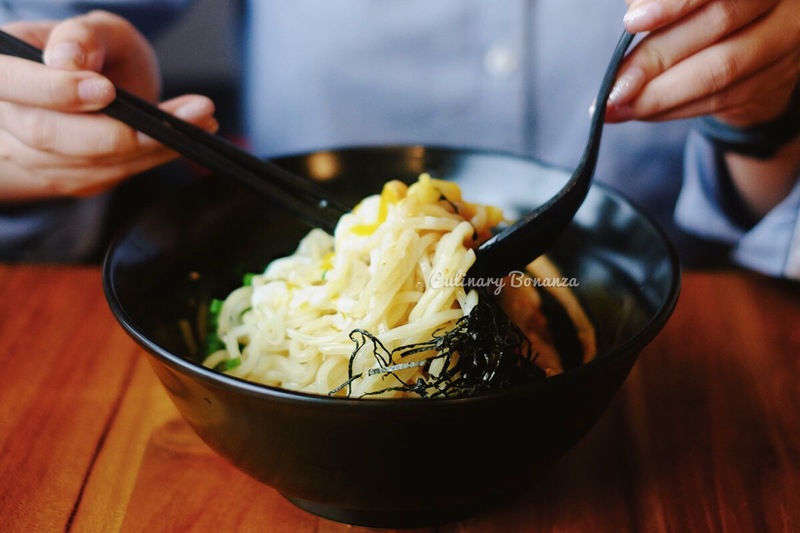 Yamatoten Abura Soba, the first restaurant specializing in serving hot soba noodles that shook foodies in Jakarta when it first opened in North Jakarta last year, just opened its second store on this very day this post is published (12 December 2015). 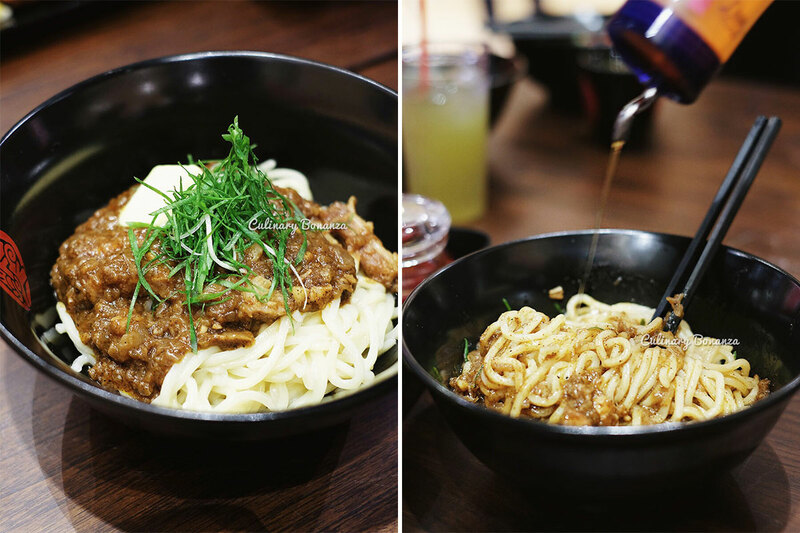 This time, the location is more accessible to most foodies in Jakarta, being situated inside a shopping mall in Central Jakarta. 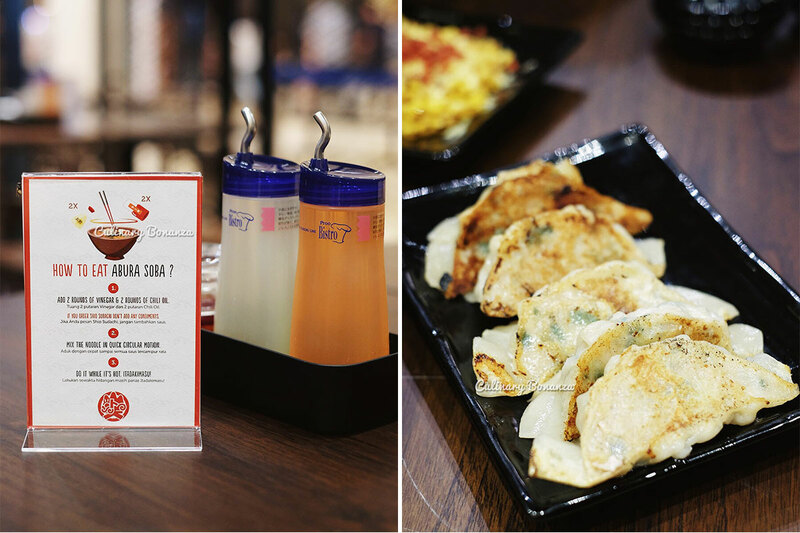 But not only that, the second store opening also marks the launch of some of the new menus. 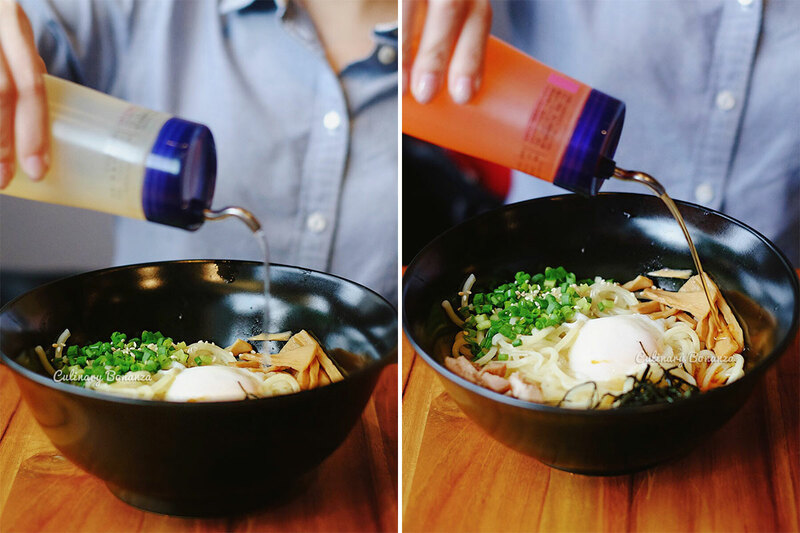 So, unlike the conventional soba noodles, Yamatoten's is different in a few ways. Firstly, it's thicker than the classic soba (slightly thicker than spaghetti, but not as thick as udon). 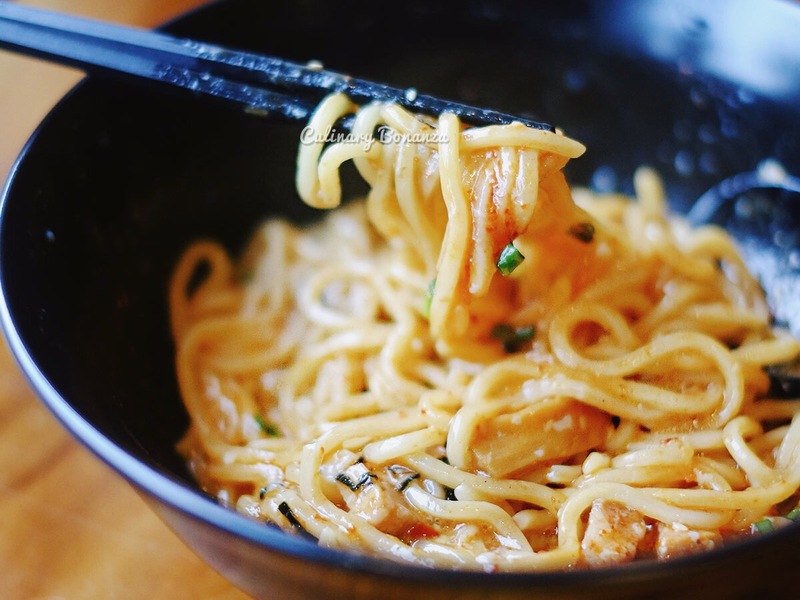 Secondly, the colour resembles that of yellow egg noodles, but a bit more pale. Thirdly, Yamatoten's soba is served hot (although now it has a new menu that serves the soba cold, scroll further below to see the new menus). And then, there's also a specific suggested way to enjoy the abura soba...while it is not mandatory, the 'ritual' makes the eating a bit more fun. So firstly, add 2 rounds of vinegar followed by 2 rounds of chili oil. Fancy more? Sure, why not! Next, mix everything quickly & eat while it's still piping hot! 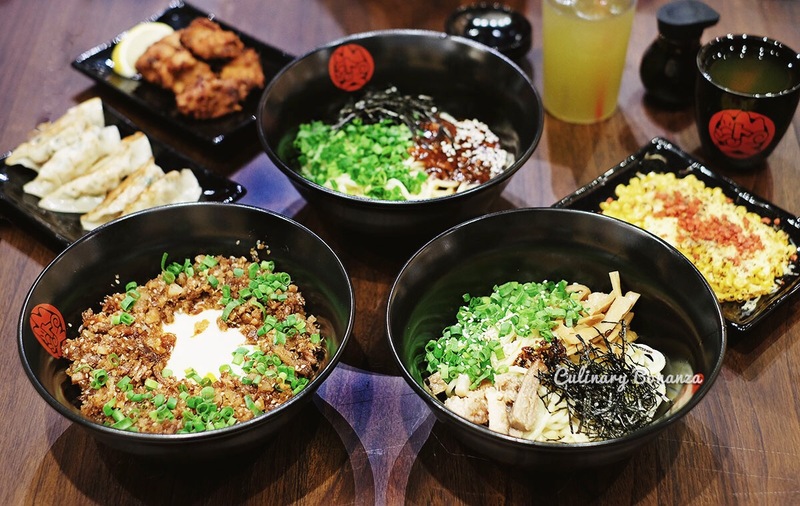 The menu at Yamatoten is limited to several variants of abura soba with different toppings, a few rice dishes and sides. It's not a massive menu, so deciding what to order should not be a tough call. 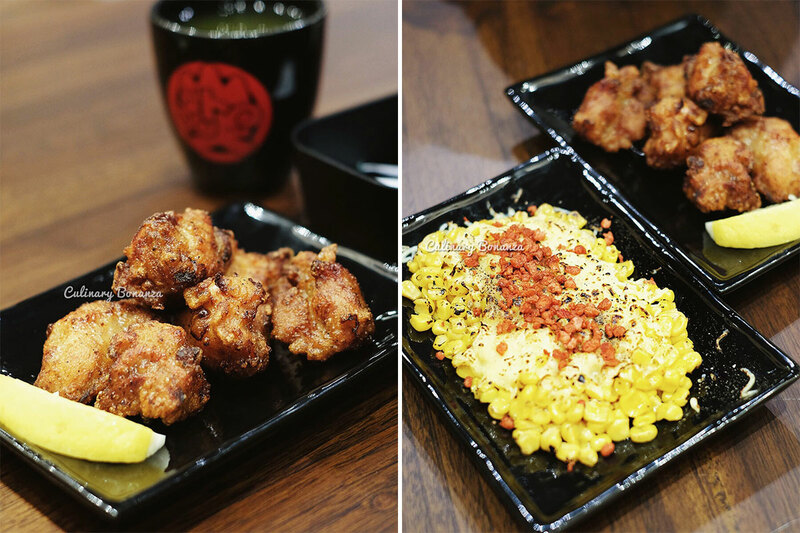 Yamatoten in Japan labels itself as a fast food restaurant anyway. 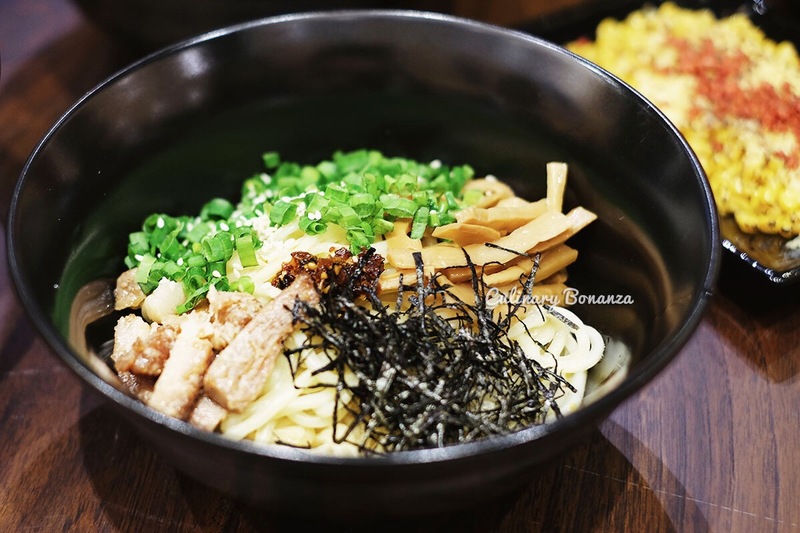 For first timer visitors, I'd recommend trying the Original Abura Soba to adjust your taste buds to the taste profile first, before trying out the other variants of the soba. If the soba was mixed with the recommended dose of vinegar and chili oil, the soba should taste quite sour, savoury and spicy. 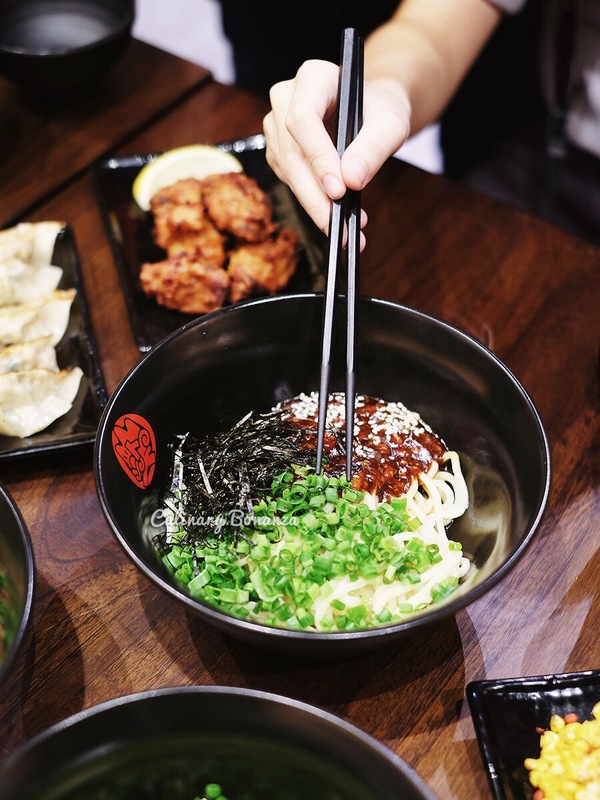 Abura Soba served with minced meat (chicken / pork) in sweet soy bean paste, spring onions, sesame seeds & dried seaweed. Abura Soba with spicy miso sauce served with half boiled egg, chopped spring onions, sesame seeds, bamboo shoots, dried seaweed & slices of tender roast pork / chicken. 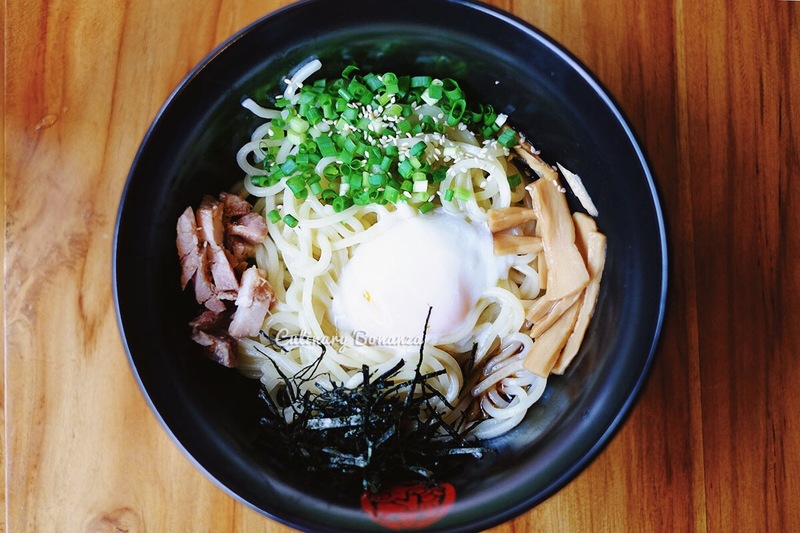 This is a slight variation from the Original Soba, with the addition of soft boiled egg, thus resulting in creamier taste and texture. 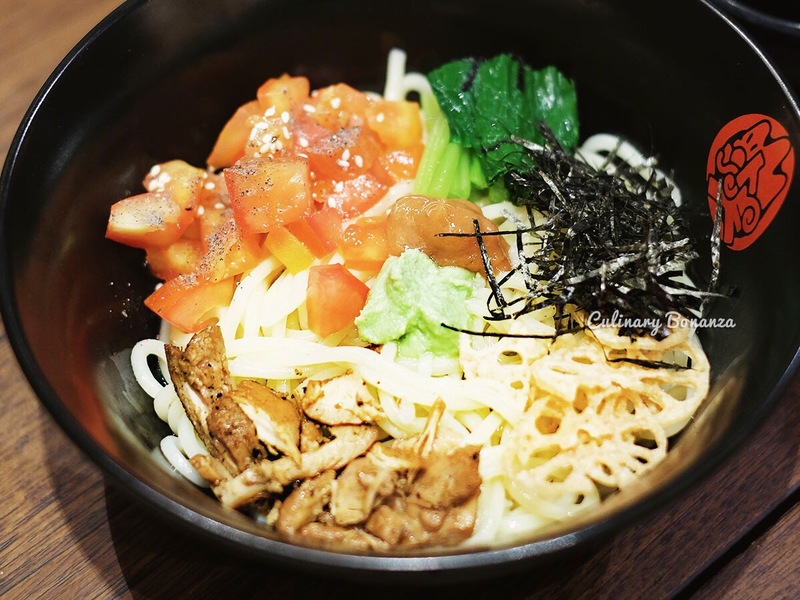 Cold abura soba with special plum & wasabi paste, topped with seaweed, fresh tomato, fried lotus & chicken chashu. Now, this is one of the special new menus, being the first cold soba in the family of warm soba of Yamatoten's. The taste is sour and quite refreshing, but the wasabi, while was not overwhelming, might be a bit too much to some. So order with caution. Slices of pork chashu marinated in special soy sauce, served over hot rice. Minced pork with special sauce on top of hot rice with soft boiled egg, served with chopped spring onions & sesame seeds. 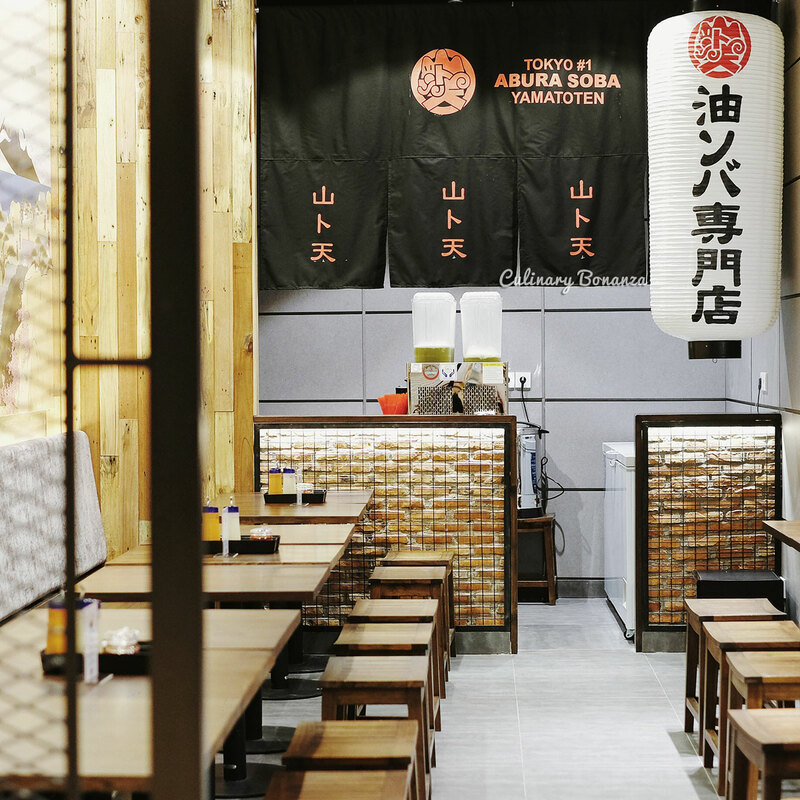 Congratulations for the opening of the second store and thank you Yamamoto-san for being there to personally make sure the abura sobas taste just as perfect as it should. So, how would you like your sobas, hot or cold?